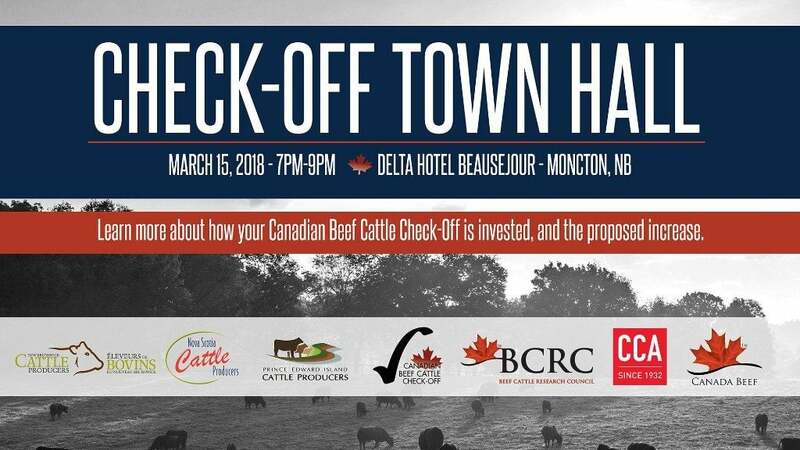 The Canadian Beef Check-Off Agency will be hosting town hall event for beef producers in the Maritimes, to talk about the Canadian Beef Check-Off, and how it is collected, remitted and invested, and concrete examples of the return on investment for Canadian producers. There will also be information on the check-off increase, from the initial concept to roll out to the projected timeline for the increase across Canada. The Beef Cattle Research Council (BCRC) is Canada’s national industry-led funding agency for beef research. The BCRC is funded through a portion of a producer-paid national levy as well as government funding, and is directed by a committee of beef producers from across the country. The BCRC’s mandate is to determine research and development priorities for the Canadian beef cattle industry and to administer check-off funds allocated to research. In 2018/19, it is projected that the BCRC will receive approximately 27 per cent of the Canadian Beef Cattle Check-Off to invest. As the Agency’s internal marketing division, Canada Beef works to promote all Canadian beef products collectively on a global scale. The organization’s purpose is simply to increase the demand that the global consumer has in Canadian beef by making sure they know what the Canadian beef industry stands for and what the industry’s values are. Canada Beef works to improve mind-share, which can be defined as how often consumers think about Canadian beef when they are hungry for beef. 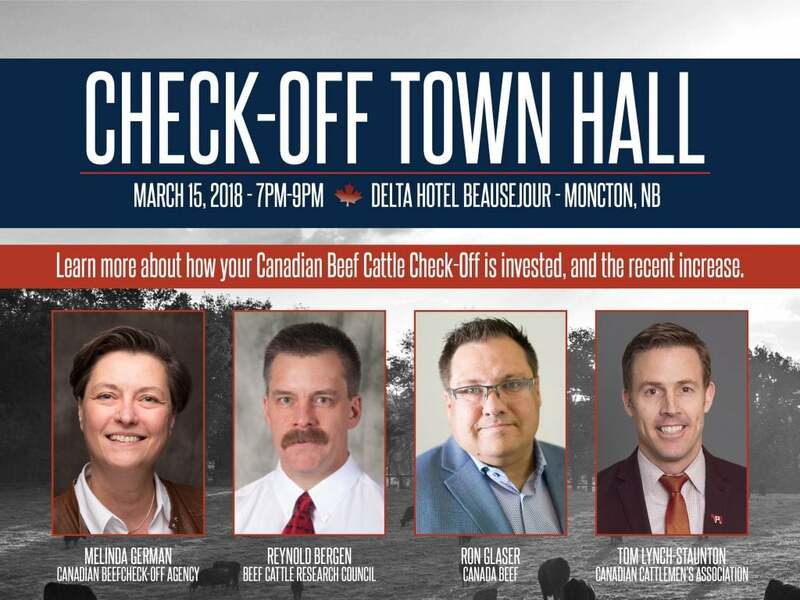 It is projected that Canada Beef will receive approximately 62 per cent of the Canadian Beef Cattle Check-Off to invest on behalf of producers. The goals of the Issues Management program are to increase public confidence, and enhance the credibility, reputation, and trust in the Canadian beef industry, thereby increasing overall demand for beef in Canada and long-term sustainability for beef producers; and to develop stronger relationships and connectivity among industry partners and organizations to manage issues more efficiently and effectively. The issues management hub is housed under the Canadian Cattlemen’s Association, but works collaboratively with provincial and national groups to address public trust in the beef industry. Issues Management is projected to receive approximately four per cent of the Canadian Beef Cattle Check-Off in 2018/19.